Hollywood is one of the most legendary neighborhoods in America. The birthplace of western cinema, Hollywood is in a constant state of motion. Want to check out a world premiere at the Grauman’s Chinese Theatre? What about a stop at one of that incredible shopping malls often frequented by stars of the screen? Whatever your business is in Hollywood, you won’t be disappointed. 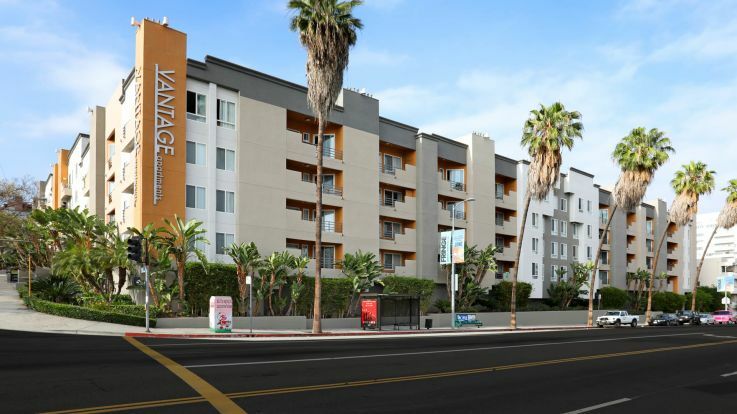 We’re delighted to offer some superior Hollywood Hills apartments that will amaze you. Our rooms feature some incredible amenities, like a beautiful pool and hot tub, a rooftop lounge (perfect for that L.A. tan,) and an on-site spa. We can promise that you’ll be living in luxury with us here at Equity. Let’s get together and find you the dream Hollywood Hills apartment.